Because you knew they were the one when they ~proposed~ you both spend a little less on a little ring. 1. A baguette ring in an East-West setting, because you know getting married is the right ~direction~ for you and your S.O. 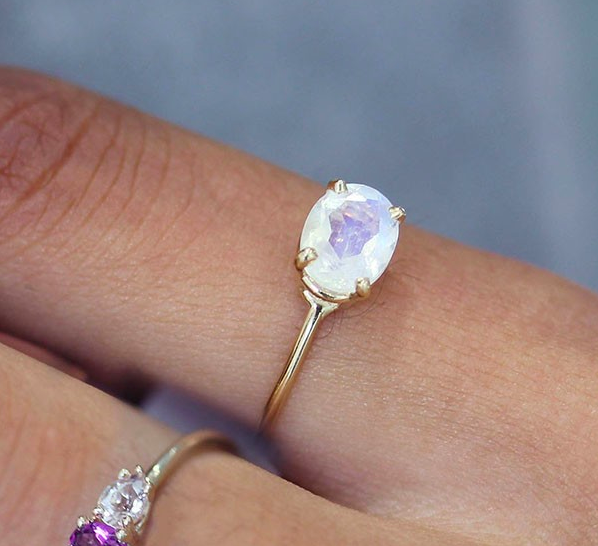 Get it from Hello Ring on Etsy for $339+ (available in 6 colors and sizes 3–8). 2. A sterling silver and diamond twig ring that'll be adored by nature-loving couples who know they'll ~stick~ together forever. Get it from Praxis Jewelry on Etsy for $160 (available in two styles and sizes 4–10). 3. A volcanic rock and coral band — it'll make your boo ~erupt~ in happy tears when they see this in your hand as you get down on one knee. Get it from Wood Life Jewelry on Etsy for $211 (available in seven widths and sizes 4–16). 4. A pavé diamond set ring sure to keep you two as close as the dainty diamonds in this piece. Get it from Nordstrom for $395 (available in sizes 4.5–7.5). 5. A sterling silver aquamarine ring that'll add some color to their finger, like the color they've added to your life since you first started dating. Get it from Ringcrush on Amazon Handmade for $47.90 (customized size available). 6. A pearl ring in an orbit setting — a gorgeous way to uniquely show that your love is outta this world. Get it from Takk for $145. 7. A personalized initial ring for couples who never got over the "M+C=Love" stage of their high school sweetheart romance. Get it from GLDN for $53 (available in four materials and 3–9). 8. Or a custom fingerprint band — the kind of ring just made for a person who knows how to read between the lines. Get it from Danique Jewelry on Amazon Handmade for $27. 9. 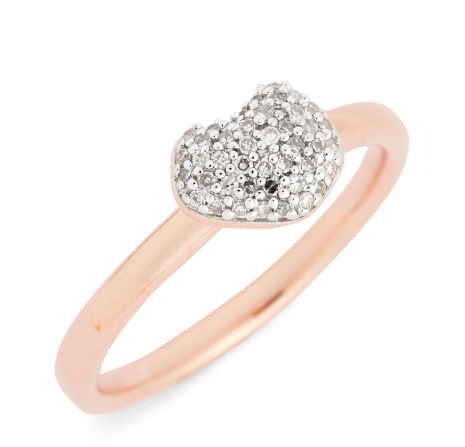 A rose gold morganite ring meant to be worn by the person who is morganright for you. Get it from Love Rings Design on Etsy for $475.15+ (available in three metals and sizes 4–10). 10. 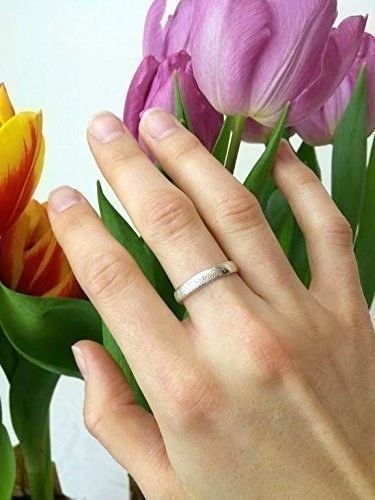 A practical silicon ring for someone who will have a weight lifted off their shoulders knowing they don't need to worry about their ring at the gym... while they're lifting weights. Get it on Amazon for $5.95+ (available in sizes 3.5–9). 11. 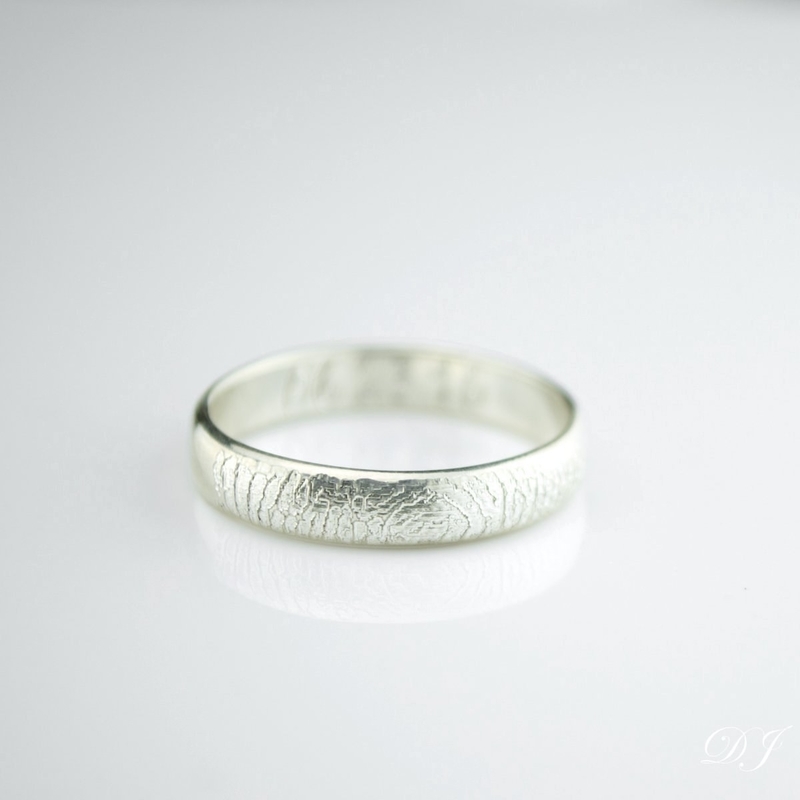 A silver split band ring you can give to the one person who made the ~cut~ in your life. Get it from Spring for $248 (available in six colors and sizes 5–8). 12. 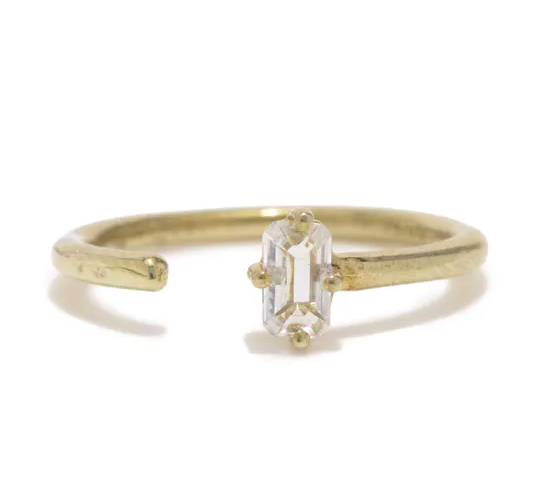 A regal square ring sure to be the ~right angle~ when it comes to your fashionable fiancé. Get it from Anthropologie for $98 (available in two colors and sizes 6–7). 13. 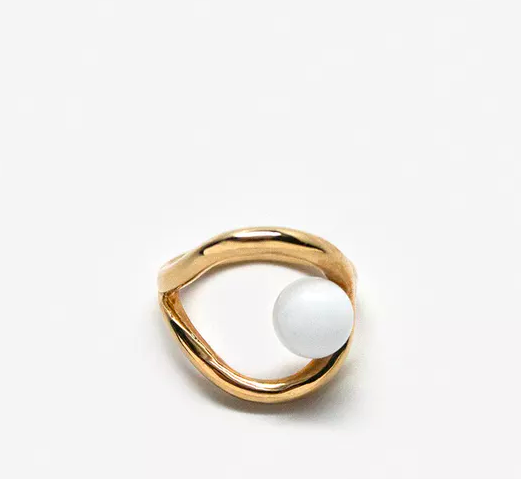 A modernist pearl signet ring sporting a mother-of-pearl circle and rectangles that's sure to help you ~shape up~ while you get yourself pumped for the proposal. Get it from Of A Kind for $275 (available in sizes 5–8). 14. 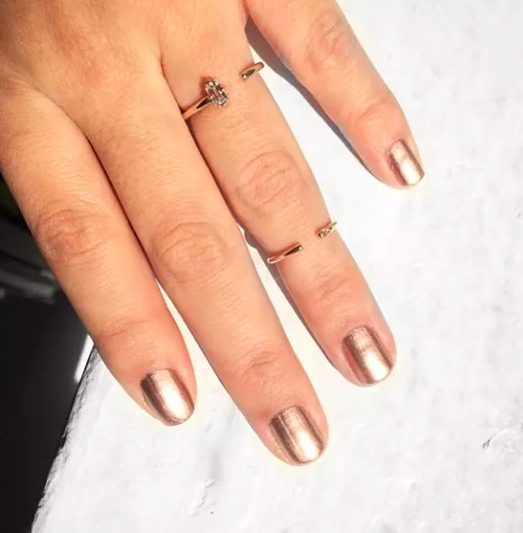 A sterling sliver teardrop ring to be as on-trend as your shared love of cold brew coffee and avocado toast. Get it from Rose & Choc on Etsy for $23 (available in sizes 4–10). 15. 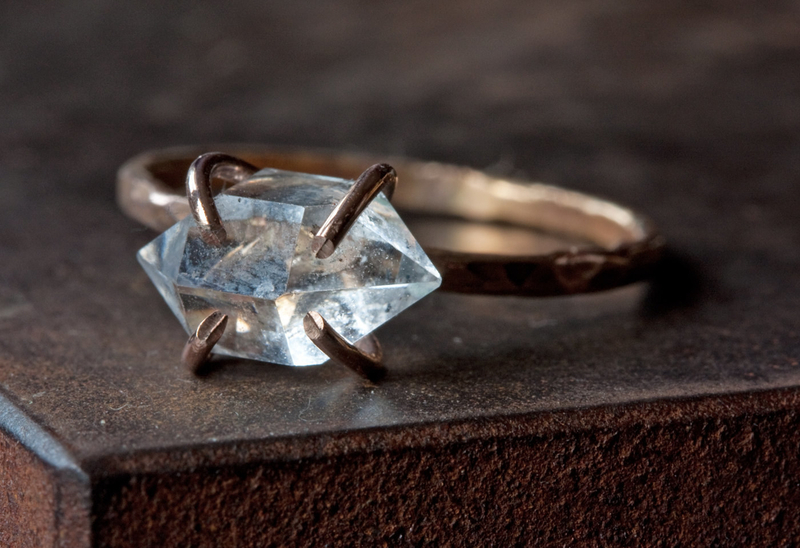 A quartz and copper ring set that'll mix metals as flawlessly as you two have mixed your lives together. Get it from Rose Anvil for $325 (also available customized). 16. A solid brass band with unique indented detail for the couple who want to celebrate their relationship through ~holy~ matrimony. Get it from Azalea for $100 (available in sizes 7–10.5). 17. A Markle-esque three-stone engagement ring that'll add something royally sweet to your wedding. Get it from NyFineJewelry on Etsy for $463.50+ (available in six materials and sizes 3–9). 18. 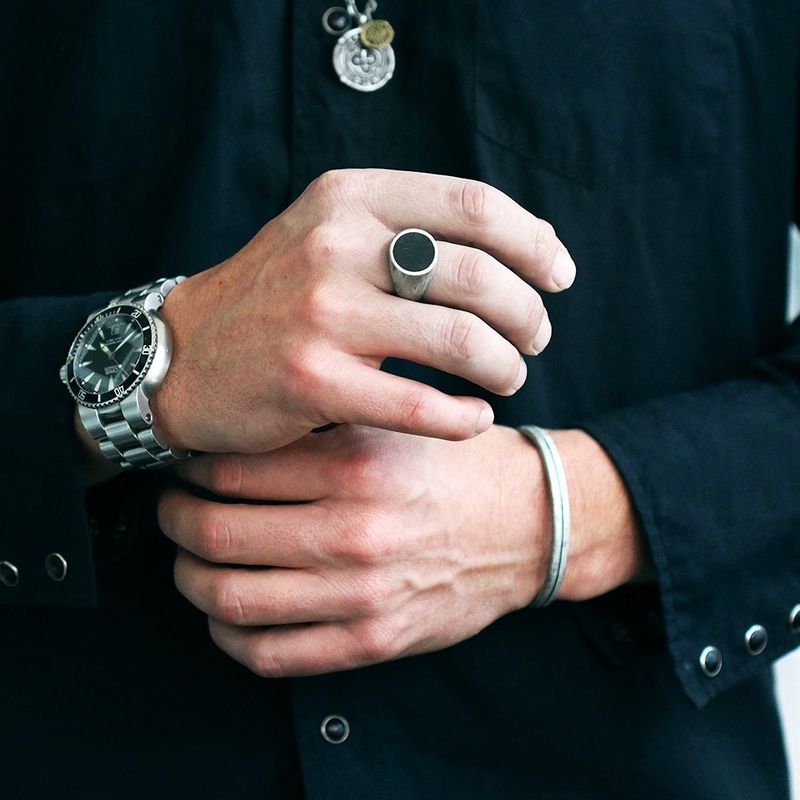 A rustic signet ring perfect for a rugged edge to your tender-loving care. Get it from Carpe Diem Jewelry on Amazon Handmade for $79 (available in sizes 5–14.5). 19. 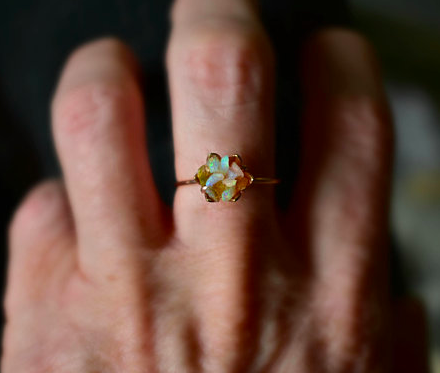 A gold pear opal ring that'll make your S.O. say "opalease pick this one!" Get it from Fondeur on Etsy for $152 (available in three materials and sizes 2–12). 20. A delicate, three-stone gold band for every minimalist who knows you don't need a big ring to represent your big commitment to each other. Get it from JVS Concept on Etsy for $95+ (available in 15 colors and sizes 2–10). 21. 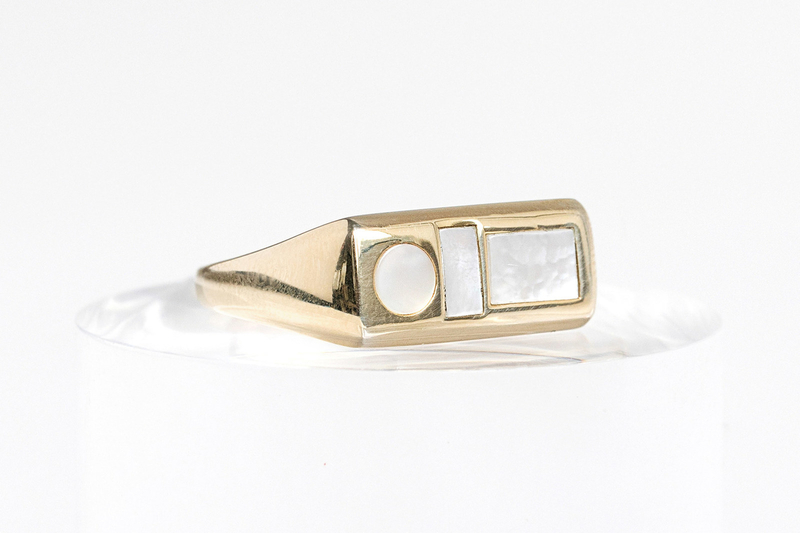 A separated gem ring sure to make a sophisticated statement true to your boo's fashion sense. Get it from Anthropologie for $48 (available in three colors and sizes 6–7). 22. 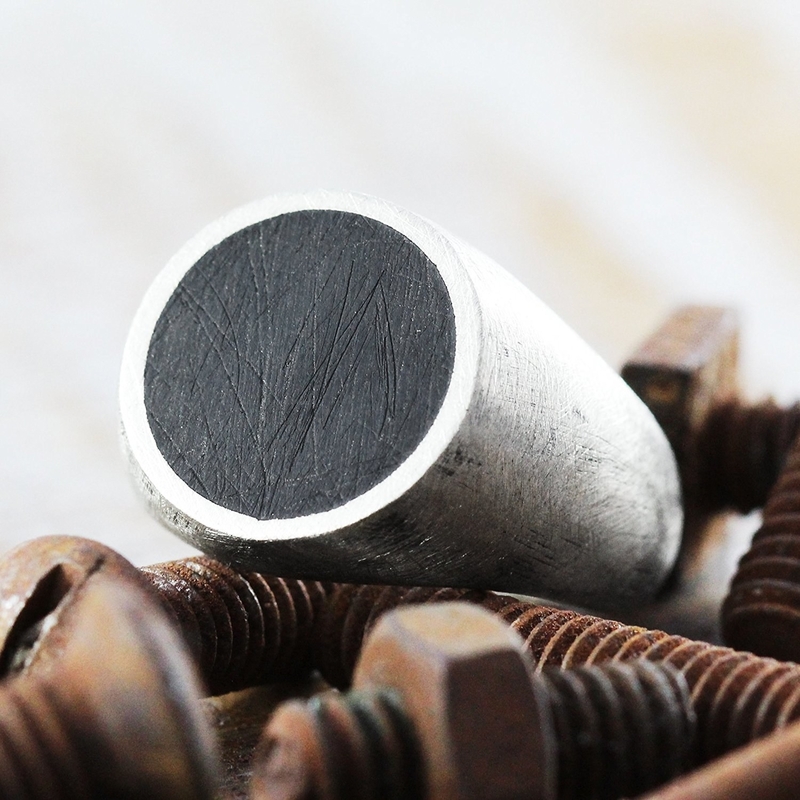 A carbon fiber ring with wood inlay that'll prove no matter how great your relationship looks on the outside, what you two share on the inside is even better. Get it from Wood Wedding Bands on Etsy for $235 (available in sizes 5–13 and four widths). 23. A stunning gold floating ring, because your future spouse makes you feel like you're walking on air. Get it from Spring for $185 (available in sizes 5.5–8). 24. A platinum plated solitaire ring that's gonna give you that sparkle and shine while also giving you the freedom to still have money in the bank. Get it from Amazon for $32.68 (available in sizes 5–9). 25. 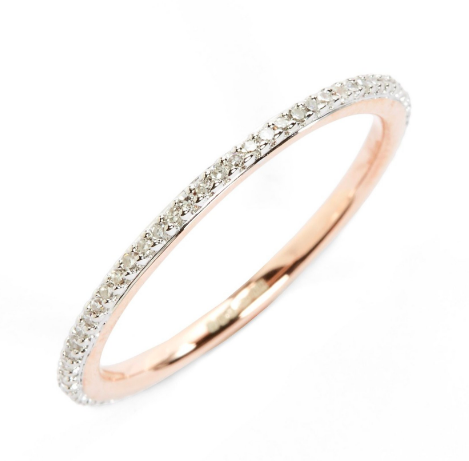 A diamond eternity band for people who don't want to hit a snag in their relationship, or their ring. Get it from Nordstrom for $350+ (available in five colors and sizes 4.5–7.5). 26. A mother-of-pearl graduated stone ring that'll look fantastic on its own, or with a collection of bands that grows as your relationship does. 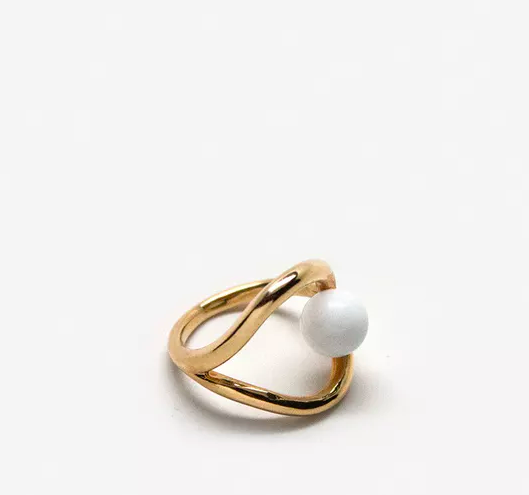 Get it from Catbird for $324 (available in three metals with custom sizing). 27. A bold exposed crystal ring, because it was ~crystal~ clear when you met your boo that you were going to be together forever. Get it from LexLuxe on Etsy for $148 (available in sizes 4–8). 28. A mixed metal ring for everyone who wants the best of both worlds as you meld your two worlds together. Get it from Of A Kind for $70. 29. 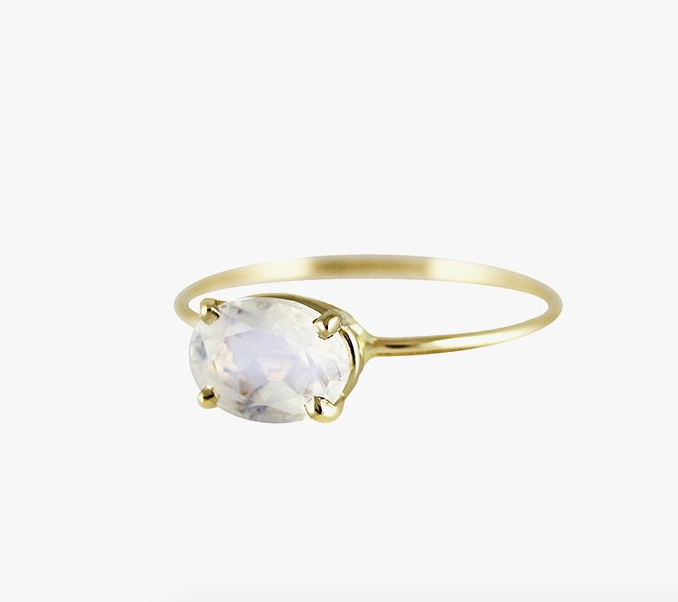 An oval moonstone ring to let them know they are forever your light in the dark. Get it from Azalea for $390 (available in sizes 6–7). 30. A stunning gold infinity ring that'll be a fun ~twist~ on a traditional band. Get it from Anthropologie for $98 (available in sizes S–L). 31. 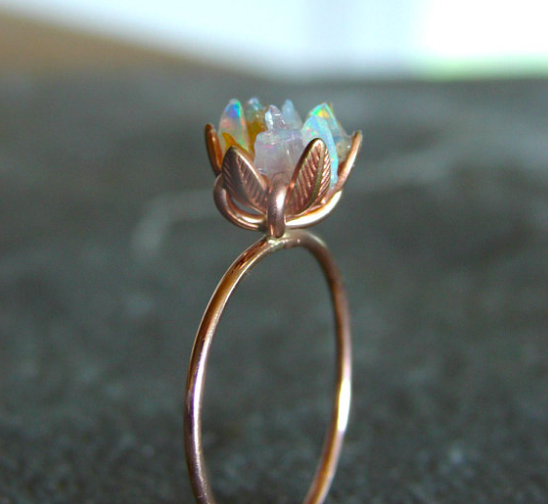 A perfect uncut opal engagement ring you're gonna want to ~plant~ on their finger the minute you have it in your hands. Get it from Gemologies on Etsy for $365+ (available in three band widths and sizes 3–10). 32. 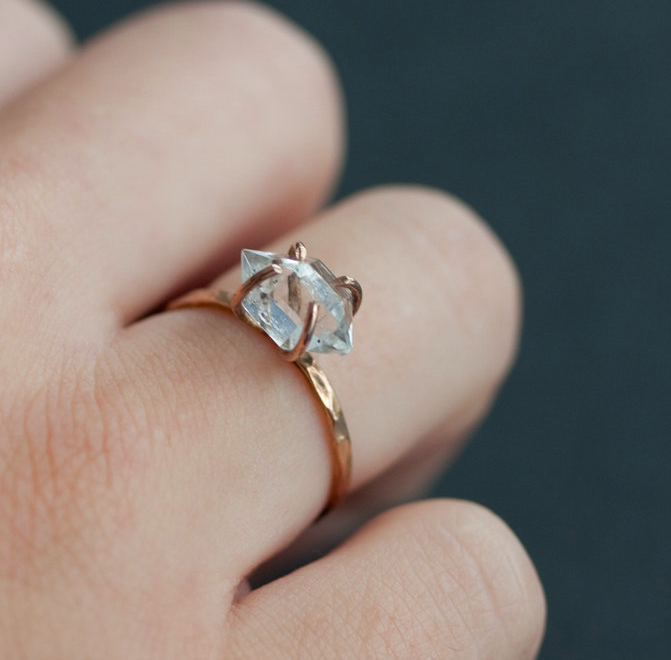 And finally, a handmade rose gold and aquamarine ring you know will be a one-of-a-kind ring for your one and only. Get it from NyFineJewelry on Etsy for $463.50 (available in six materials and sizes 3–9). These rings prove you don't have to spend a lot of money to get a reaction that'll be priceless.